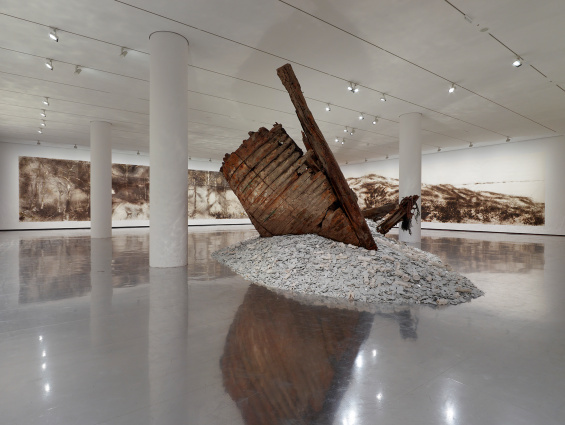 Join Margot Norton, Curatorial Associate, for a studio visit with Cai Guo-Qiang. Working across a diverse spectrum of mediums including painting, sculpture, installation, and fireworks, Cai’s work explores traditional Chinese culture and the everyday aspects that define it. His signature “explosive events” experiment with the use of gunpowder to create massive, yet tightly controlled, displays. Cai represented China at the 1999 Venice Biennale, has exhibited at MASS MoCA, Massachusetts, Mathaf: Arab Museum of Modern Art, Qatar, the Guggenheim Museum, New York and Bilbao, and was the Director of Visual and Special Effects for the opening and closing ceremonies of the 2008 summer Olympics in Beijing. RSVP by September 26 to Lindsay Casale at 212.219.1222 ×270 or lcasale@newmuseum.org.